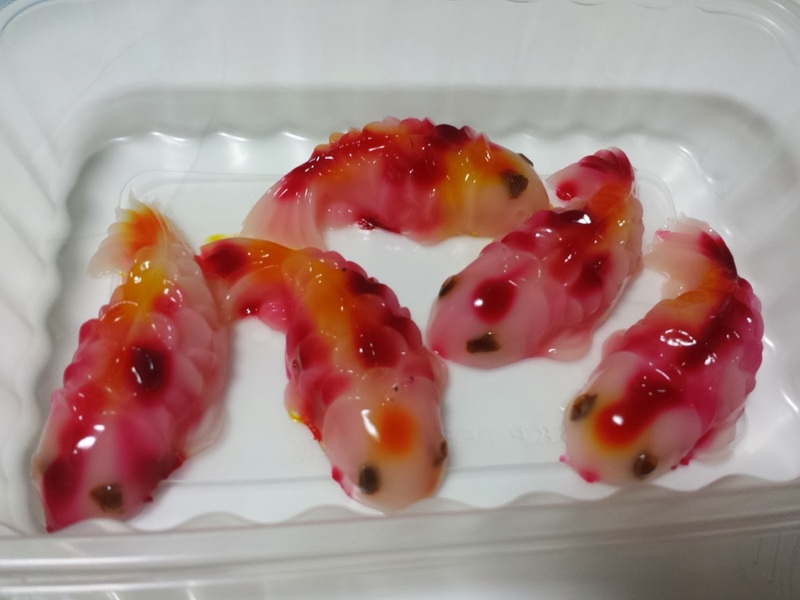 I just made the koi fish jelly and it's now sitting in the fridge. Can't wait to see the final product later. 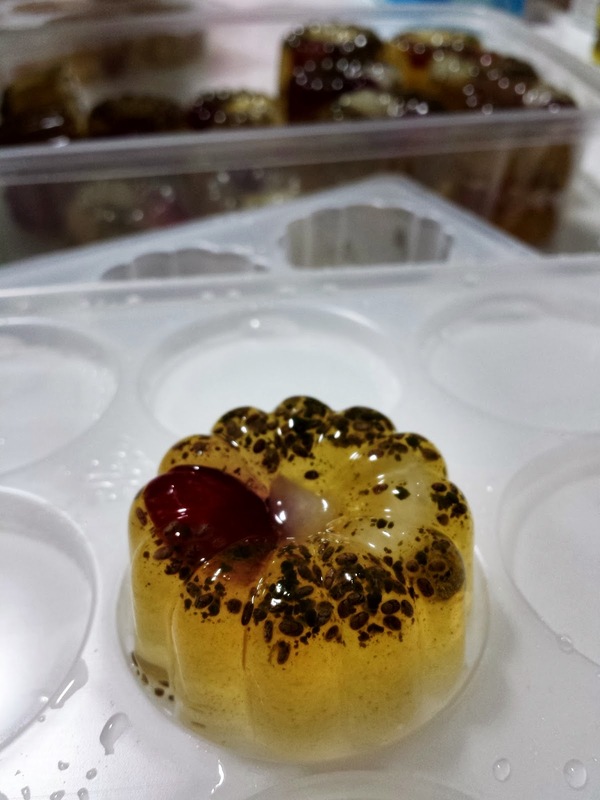 I got my recipe from here - http://www.anncoojournal.com/2012/01/koi-fish-jelly-cny-2012.html but I will type it out below too (modified abit). 1. Wash pandan leaves and tie in a knot. 2. Boil water, sugar and pandan leaves. 3. Pour in agar agar powder and stir well. 4. Turn to low - medium heat and continue stirring. 5. Off heat and continue stirring. 7. Put agar agar liquid at very low heat and stir occasionally. 8. 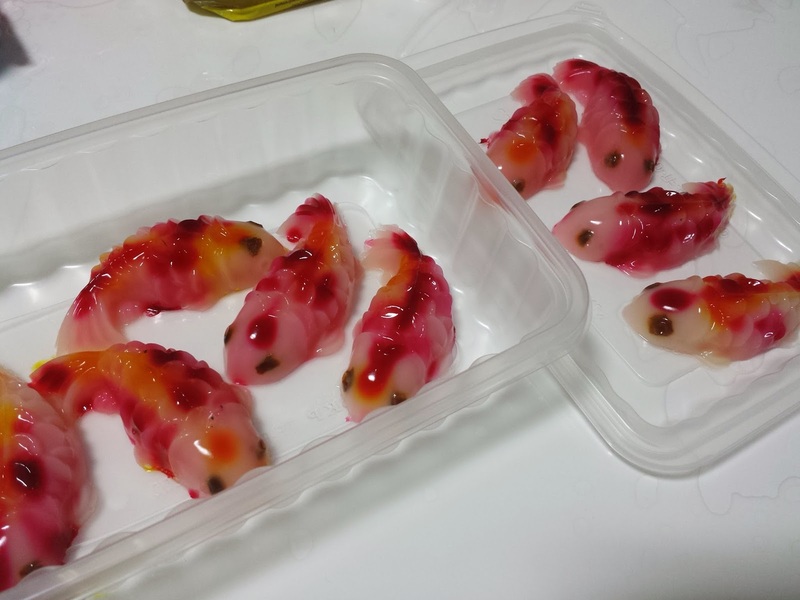 Dip raisins into a small plate of agar liquid and place onto the fish eyes. 9. Take 2 tablespoons of agar liquid and add orange colouring. 10. 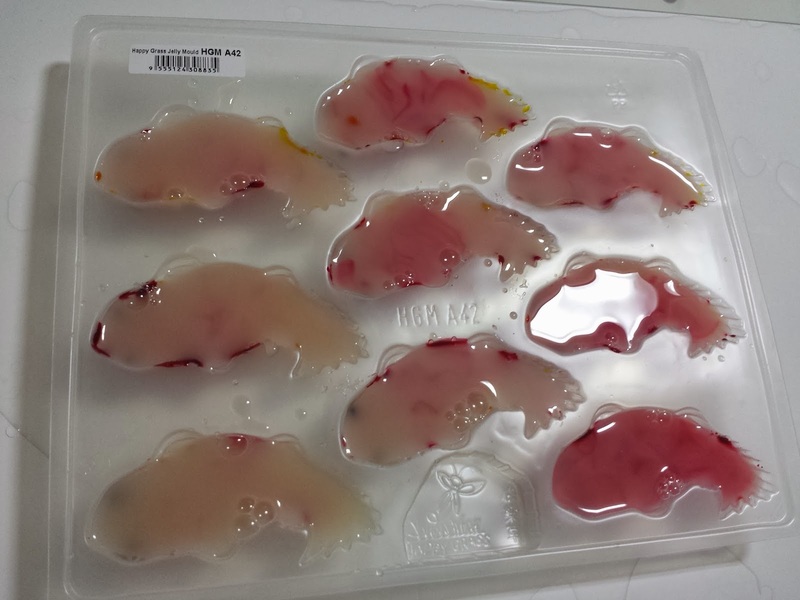 Take 2 tablespoons of agar liquid and add red colouring. 11. 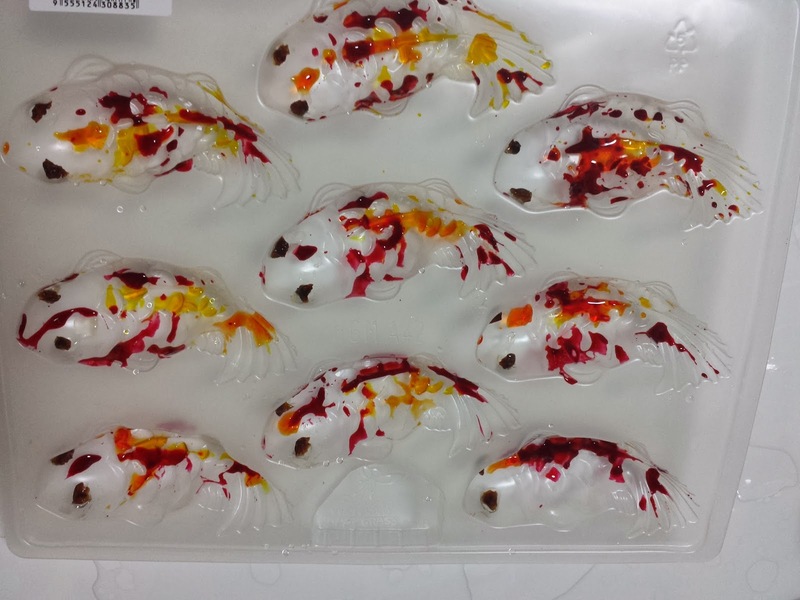 Use the back of the spoon and smear coloured liquid on fish. 12. Off heat for the agar liquid and add in fresh milk. Stir for another 2 minutes. 13. 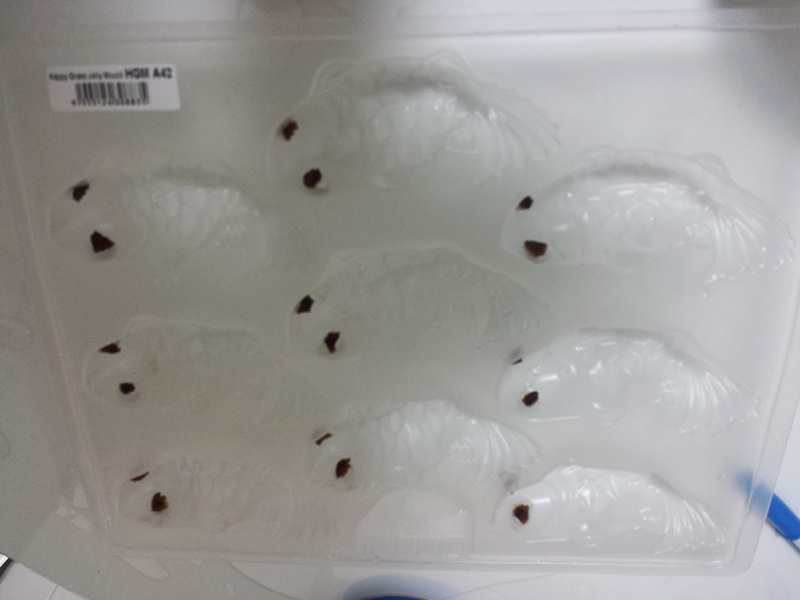 Gently use a spoon and pour liquid into fish mold. 14. Chill it for at least 3 hours or overnight. 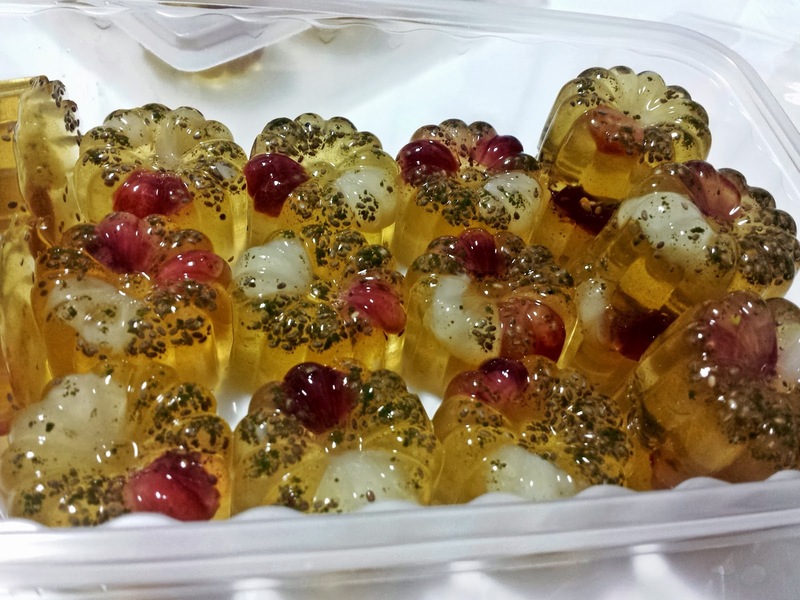 I also made healthy konnakyu jelly for the children.